Simply fill in the names and add to cart to create this special, one-of-a-kind gift for your loved one. Grandson/Granddaughter, Son/daughter, cute nicknames or first names! Whatever the lucky person getting the gift calls you! Grandma, Nana, Grandpa, Papa, Mimi, Nona, Mom, Dad, Aunt, Uncle, your first name, anything you want! Only you know the answer, that's what makes it so special. **Please double check all your spelling. As smart as our fantastic staff is, we can't possibly guess how to spell every name. We want you to be happy and will print it exactly as you enter it. Perfect in every way...wish I had ordered one more..I see it's no longer available. Boo hoo.. great product, great service! It's the first time I ordered this item. It looks good. Maybe I should have asked to engrave something else on the other side of it? Thank you! 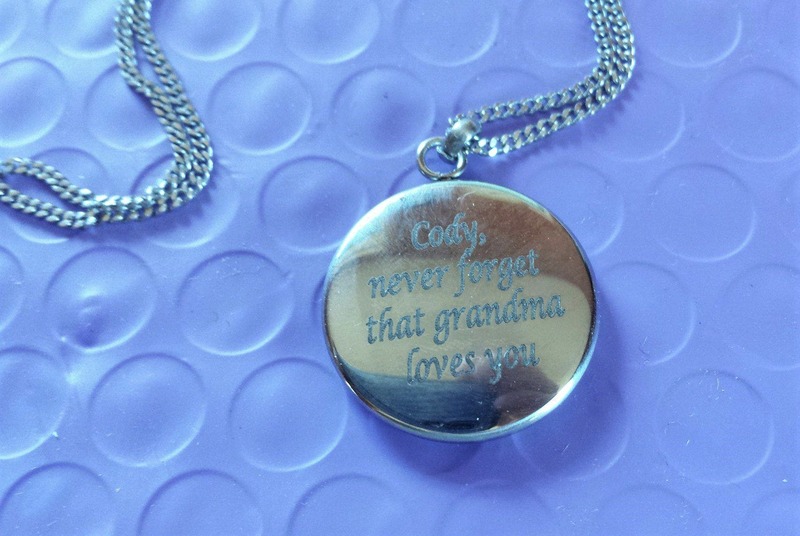 These necklaces for my granddaughters are a perfect way for me to have them carry my love around with them! I can't wait to give them to my girls. Thank you! This is a lovely necklace and I intend to order more. Thank you.